Whole home humidifiers are an excellent solution for combatting dry air and indoor air quality issues across your entire home. As air cycles through your HVAC system, the humidifier adds moisture – it does so using the unit’s humidifier water panel. This component is essential to keeping your home at balanced humidity levels – here’s what you need to know about humidifier water panels, what they do, and how you can care for them. What Is a Humidifier Water Panel? The humidifier water panel is a medium that disperses moisture to the air as it passes through the humidifier. It slides into the unit’s scale control insert, and the unit’s water distribution tray is positioned above the humidifier water panel. Whole home humidifiers are connected to a dedicated water line, so you don’t have to worry about filling it up with water on a regular basis. The humidifier water panel is essential to adding moisture to your home’s air. It is a component that is meant to be replaced on a regular basis, as the water panel will become clogged over time as particulates carried into the unit by the air pass through and mix with water. The humidifier drain lines may clog, causing water backup, flooding, and damage to the unit and surrounding areas. Your HVAC unit’s performance may suffer, as a dirty water panel can place more stress on the system’s fan motor. Temperature problems indoors caused by the lack of humidity. Increased static electricity in the home due to dry air. Dry skin, nose bleeds, and other health issues caused by the lack of moisture in your air. Mold and bacteria growth caused by water backup in the unit. When Should I Change My Humidifier Water Panel? Your humidifier water panel should be changed at least once per season. Humidifier season is in the winter, when the air is naturally dry. For best performance, make changing your humidifier water panel a part of your Fall HVAC Maintenance Checklist, so your humidifier is ready to go come time to use it! There some situations in which you may find it necessary to change your humidifier water panel more than once a year. If your home has water, the humidifier water panel may become clogged with mineral deposits from the water, requiring an extra change during the season. If you use your humidifier frequently during the winter months, it may be necessary to change the humidifier water panel twice, as it will become clogged with contaminants at a faster rate than in a home that uses the humidifier infrequently. Changing your humidifier water panel is easy to do. Complete the following steps to take out the old humidifier water panel and replace it. Locate the panel cover on the outside of your humidifier. Remove or open the panel cover – many humidifier models have a pressure panel or button for easy release. Slide out the enclosure that holds the humidifier water panel. Remove the old humidifier water panel from the enclosure. Dispose of the old panel. Insert a new humidifier water panel into the enclosure. Slide the humidifier water panel enclosure back into the humidifier, replacing it in the correct direction. Make sure the enclosure is inserted securely into the humidifier. Close or replace the panel. 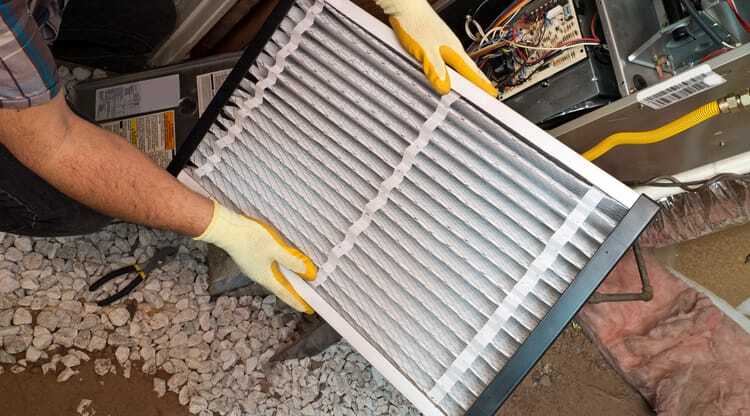 HVAC.com is full of resources to help homeowners learn about and care for their HVAC systems and components. 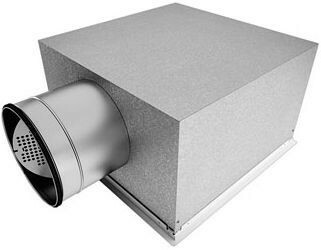 Visit HVAC.com to learn more about humidifier water panels. If you need help replacing your humidifier water panel, contact a local HVAC company. You can find trusted, reliable heating and cooling contractors through our HVAC Contractor Directory. Simply search your ZIP code to see all HVAC contractors near you.